Turquoise Monster » Blog Archive » Felt Film and Cuddlies! 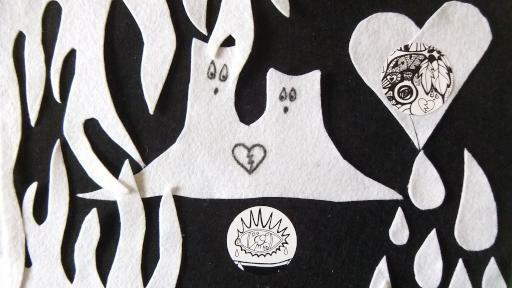 This is one of the felt back drops I made for the film of Love: A Stranger Dream. I really like working with felt as a craft material and have been pondering creating some stuffed Shadowing Souls.